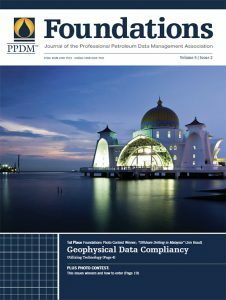 Geophysical data compliancy means only using data you are entitled to use for an implicitly defined purpose and timeframe. Geophysical / seismic data is complex. Seismic is an image of a defined position of the earth. It is multi-dimensional, multi-faceted and geographically based. It consists of raw and interpretation data and could reside on different media types and formats. It may also be stored internally or at an external storage facility. Along with this, the oil and gas industry is an ever changing and complex environment due to M&A activity, contractual laws and obligations either to government agencies, exploration companies or multi–spec corporations. As artificial intelligence and big data define a significant path through the information management world to allow for corporations to make more informed and educated decisions, so too must our data management domain adapt and modernize itself to keep up with the demand of information and ensure that it meets its legal rights and ethical obligations. Validating such data and information in one’s corporate environment can seem like a monumental endeavor. However, technology can contribute to the greater success of projects such as these by allowing the ability to sift through large volumes of data, providing data analytics and consistently monitoring the environment to ensure that your company becomes and remains data compliant. One such data model breaks down the overall data compliance progression into a six stage process that continuously cycles into a data governance atmosphere. The six phases consist of three asset stages and three transitional stages. All phases must be completed; though may occur simultaneously; in order to achieve compliance. This model is different from others as it believes a corporation can never really achieve data compliance without relying on technology, visualization tools and repeatable monitoring systems. This article is a two part series. The first of which, will focus on the three asset phases (the database, contracts and the data). The second will complete the overall method with the discussion of the three transitional stages. The database is the first asset stage. It’s where the data compliance process begins and ultimately allows a corporation to move into a long term data governance environment. It is your single point of access and source of truth. As the data management domain adapts and modernizes so too are the applications to which it utilizes. Given the trends and shift towards artificial intelligence, more software developers are recognizing and understanding the importance to data analytics and therefore are evolving their data management suites to include more dash boarding and reporting capabilities, together with better visualization functionality. It is here that analytical tools must first be incorporated against your database. If your application currently does not have these analytical tools integrated, you will need to run your database against other external sources. There are a plethora of cheap options at your disposal and a discussion with your IT department will certainly assist in your selection given that IT will need to implement the analytical tool within the corporate environment. This step will be critical in the latter stages of the compliance process. Second asset phase, are the contracts, which is your source of entitlements. The critical component among this stage is to locate all contracts. This of course is easier said than done, as contracts are usually managed within different departments such as accounting, land, legal, the business itself and the records team. A clear understanding of internal department record taxonomies and access (even if only read access) to their documents are crucial for this stage to be successful. To help in this endeavor and with the assistance from your IT department, your company will need to unleash crawling technology within your internal environment. Once established, you will need to determine specific business rules for what the crawler is to look for. Every company has an infinite number of documents that the crawler would need to sift through, so the more defined business rules you create, the less documents or locations the program has to crawl through. This in turn will help to reduce its scope and can produce faster and more meaningful results. Once contracts have been located, all physical or previously scanned documents should be processed through an optical character recognition or OCR application. This will enhance your ability to extract information automatically from the documents itself for easy population into your database and reduce some of the traditionally labor intensive methods. There is a challenge though, even though OCR tools have made great strides over the past decade and there are many to select from, not all OCR applications are created equal, so make sure you or your IT team does their proper due diligence prior to selecting a program. Also, the purpose of an OCR tool is to extract as much information from the document in order to minimize the typical manual workflow, however the system will require upfront training in order for it to understand the type of documents it is examining and what information to extract. The more training provided will allow the tool to become faster at recognizing the differences. Again, programs such as these are merely a mechanism to assist and reduce time and manual effort. The last stage is the data. 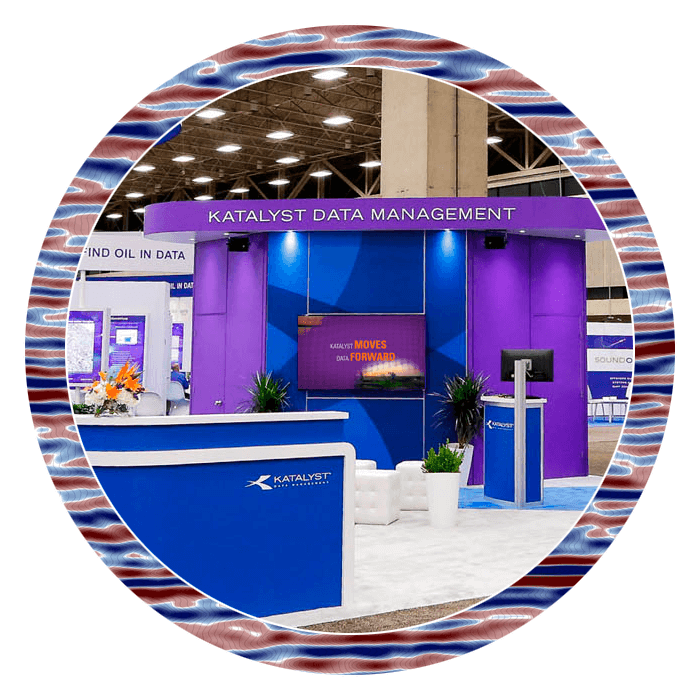 This stage consists of two segments, (1) data stored externally and (2) data stored internally, which is usually called the user environment and is where the geophysicist will interpret the data. Each are handled in the same manner, however internal data normally experiences more challenges than external given that (1) a level of participation is now required from the user community and (2) data filenames historically can and have been manipulated. This stage is where your entire corporation’s effort comes together with the purpose to comprehend the big picture. Utilizing a GIS/visualization program to display the information gathered is a great and easy way for people to understand the shear complexity, severity and liability of your internal data environment. As well, it provides a clear end path of achieving data compliance. Tools can be scripted and used to interrogate the contents of an interpretation project and the SEGY files themselves in order to ‘scrape’ the metadata from the binary, the EBCDIC and the trace headers to identify unique identifiers. This information can then be matched to your source of truth (database) and source of entitlement (contracts) and when compared to the navigational data, can provide a level of confidence that the data located is accurately assigned to the correct survey in the database and contract. User intervention and participation is imperative as reporting mechanisms can only identify the likelihood that something is a match. The information provided within the report must still be validated and either accepted or rejected. 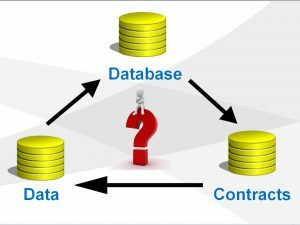 Once accepted, the data will then be manipulated and linked so that the data, database and contract can operate as an integrated asset. Becoming a data compliant corporation is no small feat and active participation from many departments is required in order for its success. Apply technology wherever possible, as it allows you to see the complexity of the situation and can minimize labor intensive processes. Upfront effort and costs may be required, however the long term gain and sustainability of your corporation’s data governance achievements will rely heavily on the consistent monitoring and reporting you establish today. Changes to information acts, copyright laws and professional standards are making data compliance critical and imperative that corporations are taking the right steps to ensure that data used meets strict contractual obligations. For more information on data compliance, please contact us.